Can Cats Cry Real Tears of Pain or Sadness? Anecdotal evidence suggests that cats can cry tears when they are upset or grieving. It's true that cats' eyes sometimes get watery. And cats can and do have emotions; they do grieve as well. But if you've seen a cat with watery eyes at around the same time that they have cause to grieve, it's probably just a coincidence. A happy cat may purr, rub, play, or otherwise engage with humans and other animals. A sad cat may withdraw, lose its appetite, or become less energetic. An angry or frightened cat may hiss, arch its back, growl, or swat at a person or another animal. Cats who are anxious, angry, or upset may make sounds that are similar to a human whine or whimper. These noises are indications of a cat's emotions—and so, in that sense, the animal is crying. But according to researchers, human beings are the only animals that cry tears when experiencing strong emotions or pain. Cats' eyes will "tear" or water for a number of reasons, but they are all medical, not emotional. For instance, it may be due to eye irritation from a speck of dust or a scratch from another cat. Tears might also be caused by contagious diseases such as upper respiratory infections. Clogged tear ducts (believe it or not) can also result in tearing. If you see your cat tearing up, it's important to know that they are not expressing strong emotion. Instead, they are showing you that something is medically amiss. Often, the issue is minor. However, in some cases, cat tears can be evidence of a serious problem or something that has the potential to become serious without treatment. If tearing occurs on a regular basis, it's a good idea to visit your vet. 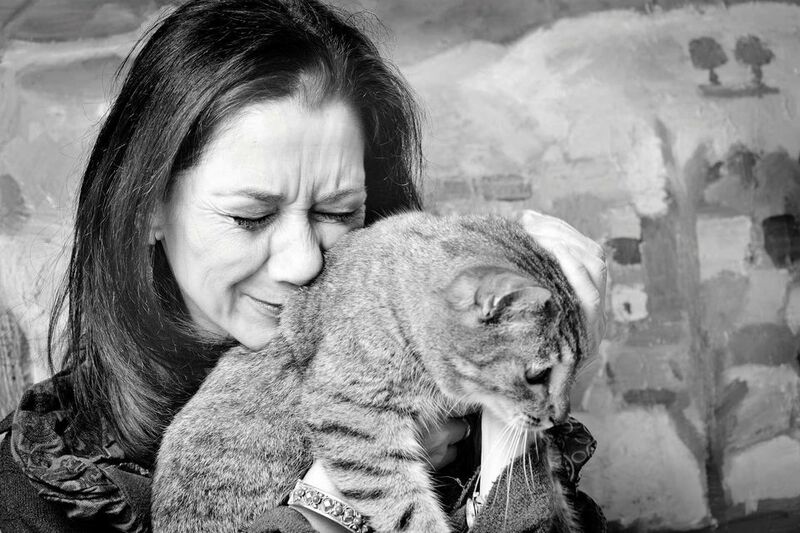 Stroking and kindness—while always welcome—won't do a thing to stop your cat's tears. While cats certainly do have emotions, such as grieving or depression, they will never shed tears to show those feelings. If you are concerned about your pet's emotions, look for other signs such as lethargy, withdrawal, or disinterest in food. These issues can also be a sign of illness. Before making assumptions about your cat's emotional well-being, always take the first step of checking on its physical health.